British Wall Sticker. 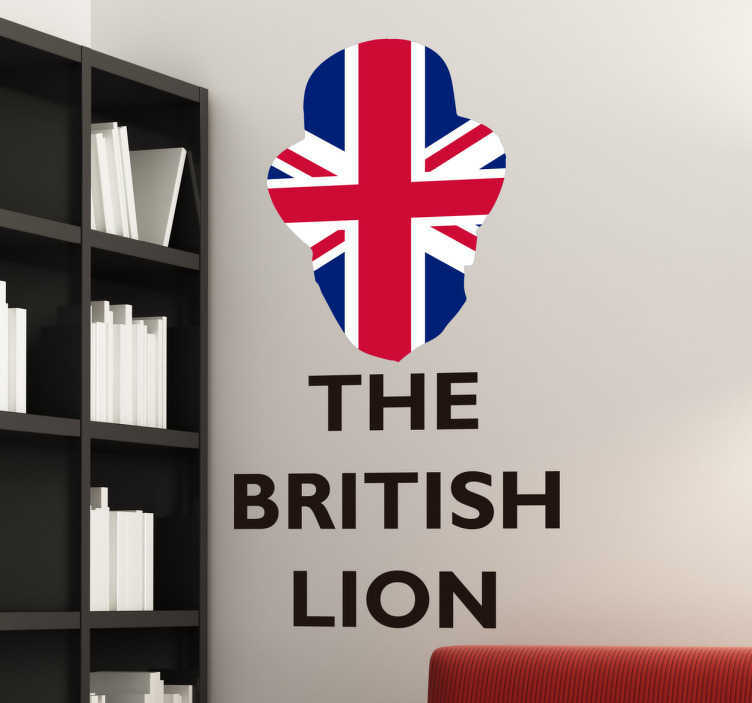 The sticker consists of the message "The British Lion" with the Union Jack flag cut out in the shape of a lions head. Decorate your home, office or business with this wall sticker. We use a special adhesive film that makes no mess and can be applied to any flat surface such as a door, wall or window. The colour of the text can be customised to a style you like.